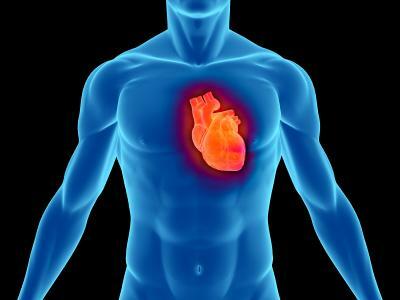 Your target heart rate is 50 percent to 75 percent of your maximum heart rate. Your target heart rate is the safe speeding up of your heart to meet the demands of physical exertion and exercise. You want to know this target number of beats so that you can make the most of your exercise regimen, meet goals and exercise safely. If you have any concerns about your heart rate, heart condition or general physical condition with regard to exercise, you should contact your physician. 185 beats per minute (bpm) is the maximum heart rate for the average 35 year old. To calculate the target zone you should be aiming to get your heart rate to while exercising, you take 50 percent of 185 to 75 percent of 185 or: 93 bpm to 139 bpm. You would target 139 bpm if you were working out on a strong cardio program, but you may only hit 110 if you were lifting weights. Print your own exercise chart! While exercising, wear a heart rate monitor or use a machine that comes equipped with a heart rate monitor. Some cardio machines will actually let you program in the target heart number you are trying to achieve and the machine will automatically adjust the intensity based on the heart rate it is reading. You can also check your heart rate by using two fingers to measure your pulse at your wrist or at the point of your neck where it curves to your jaw. Count the number of beats in a six second interval and then multiply by ten. If you measure 12 beats in six seconds, then you are averaging 120 bpm and that's well within the target zone for a 35 year old. If you exercise the recommended three to five times per week, then you want to hit your target heart rate for the majority of your workout time, excluding the time spent warming up and cooling down. For example, a jogger who runs three miles three times a week will want to be in their target heart zone for at least two and a half of the miles with a quarter mile on either side for warming up and cooling down. Your heart, like any other muscle, builds endurance over time. You may find that as you work out regularly that you build up endurance for certain intensities and it is harder to hit your target heart rate at that intensity. This means you will have to change up the routine or increase the intensity to continue meeting your goals. On average, you should review your workout plan every 12 weeks and adjust according to your body's needs. If you need help downloading the printable exercise chart, check out these helpful tips. You can find your heart rate requirements via several different online calculators. Check out the ones listed below.